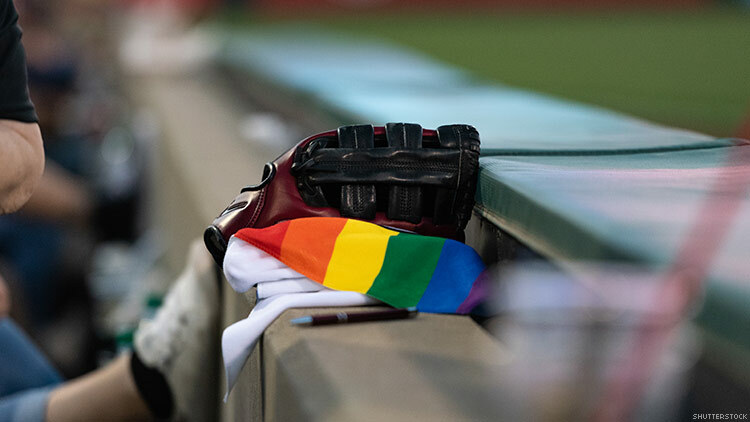 After receiving criticism for being the last Major League Baseball team not to plan a Pride night, the New York Yankees will be developing a series of events next season in celebration of the 50th anniversary of the Stonewall uprising, reports The New York Times. Although the team has never hosted a Pride Night event, the Yankees have a history of supporting the LGBTQ community. General Manager Brian Cashman and his assistant general manager, Jean Afterman, have worked with organizations that help gay and trans youth. Gay MLB Executive Billy Bean has been invited to speak with Yankees players about inclusion. In early June, the Los Angeles Angels announced that it would host a Pride Night, which left the Yankees as the only baseball franchise that had yet to plan a celebration of the queer community. In response, LGBTQ activists and city officials like Johnson began requesting a change from their home team. The Yankees faced controversy during the 2010 playoffs when during the ritual playing of the Village People’s "YMCA," fans taunted the other team by singing “Why are you gay?” to the chorus. After footage of the behavior hit social media, the Yankees tightened security and ended the practice. David Kilmnick, CEO of The LGBT Network, had tried to convince teams to hold a Pride Night at a diversity summit sponsored by Major League Baseball in 2016. The New York Mets agreed; the Yankees refused.